See either our “Full Day Camp” or “Half Day Mini Camp” tabs for camp information! 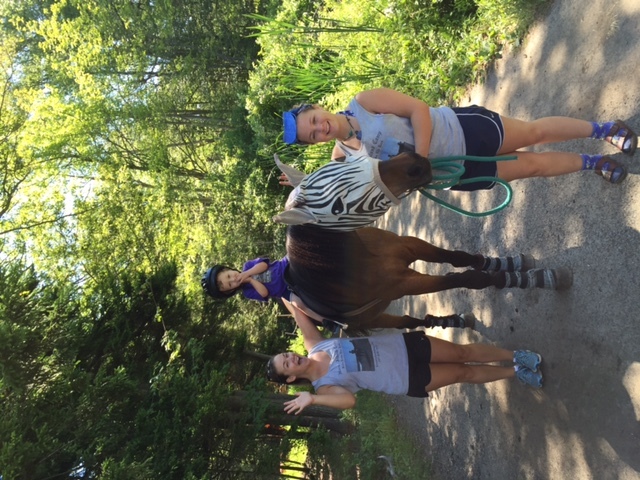 Horse Island Camp also offers Public Trail Rides for children and adults of all experience levels, Gift cards are available as well for more information: Please see our “Trail rides and Events” tab! 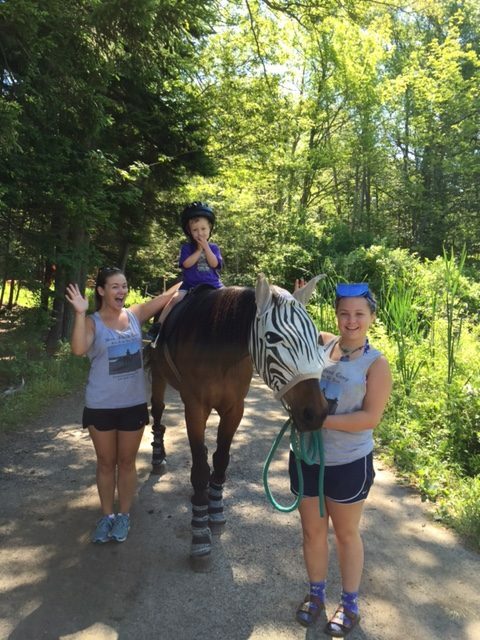 Located in Casco Bay on Peaks Island, Horse Island Camp is an active day camp where kindness and animal appreciation is emphasized. Accessible by the Casco Bay Lines ferry in Portland, children ages 3 and up take a morning boat ride out to reach the island. Once there, the days are filled with horseback riding, kayaking, swimming, fort exploration, games, and crafts. Activities at Horse Island Camp are voted on daily by the campers and staff. Each camper has input that is valued, where kids can spend the entire week on the island learning all about the horses and having fun. Every year repeat campers with developed skills take on “honorary aide roles” around the camp. They begin to help the younger campers in showing them how to groom and saddle up the horses. The horses, in turn, become acquainted with the new campers and feel the kindness and tender loving care provided to them. Doing this builds confidence, social skills, and establishes new friendships between campers. We hope to see you at Horse Island Camp soon!